Scientific evidence proves that the motor industry of South Africa alone, pollutes approximately 1.9 trillion litres of drinking water per day due to vehicles that are washed and serviced. Some of the chemicals that are used to wash and service vehicles contain Ethylene Glycol and Endocrine Disruptor Chemicals. Examples of these chemicals are soap, oil, fossil fuels and radiator coolant / anti-freeze and others. 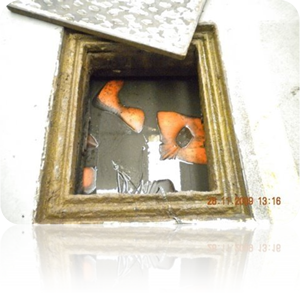 These toxins are usually not separated at a dealership's oil and grease trap. Unfortunately, the water rehabilitation systems in South Africa are not equipped to handle this type of pollution. Thus causing the mentioned chemicals to become part of our drinking water. SupaZorb filter bags in an oil separator. Environmental precautions needs to be set in place to prevent the deterioration of our water quality. Any effluent that is discharged into municipal drains are later returned to rivers and dams and in turn, consumed by humans. This water sample is taken from a motor dealership's wash bay. The dealership has no environmental controls in place and therefore the quality of water which is discharged to the municipal drains does not comply with the Minimum Effluent Standard requirements. 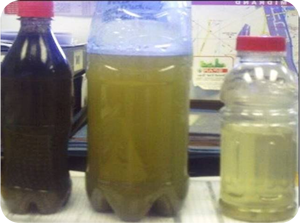 This sample is taken at a motor dealership which has a Sand Filtering System as an environmental pollution precaution. The discharge is already an improvement to the first sample, but it still does not meet the Minimum Effluent Standard requirements. 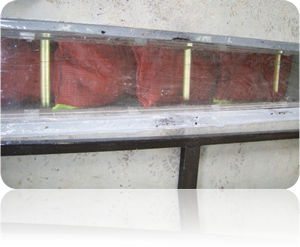 The last sample is from a dealership's wash bay that is fitted with the SupaZorb Water Rehabilitation system. This sample is considerably cleaner than both samples and it also complies with the Minimum Effluent Standards. SupaZorb filter bags are inserted at motor dealerships to break the toxins down and improve the water quality before it is discharged into the drains. 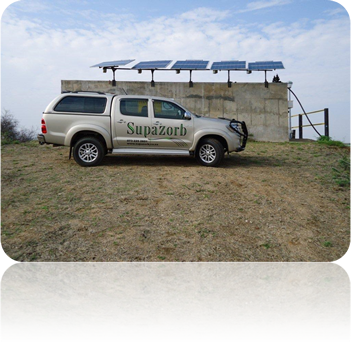 Some dealers have even gone so far as to arrange with SupaZorb to equip them with Solar Panel driven water rehabilitation and recycling systems. This not only saves them water, but electricity too. The numbers on the beakers indicate at which tank the samples were taken. The first sample contains the water that runs directly from the wash bay to the tanks. The last sample is the quality of water produced (after being rehabilitated) by the system to re-use in the wash bay channel. We are very fortunate to work side-by-side with Toyota South Africa. They are truly a world leading industry that cares about the environment and not just themselves.